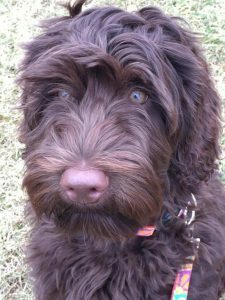 Meet Scarlett: She has an excellent pedigree and temperament, and we are excited to have her in our breeding program. 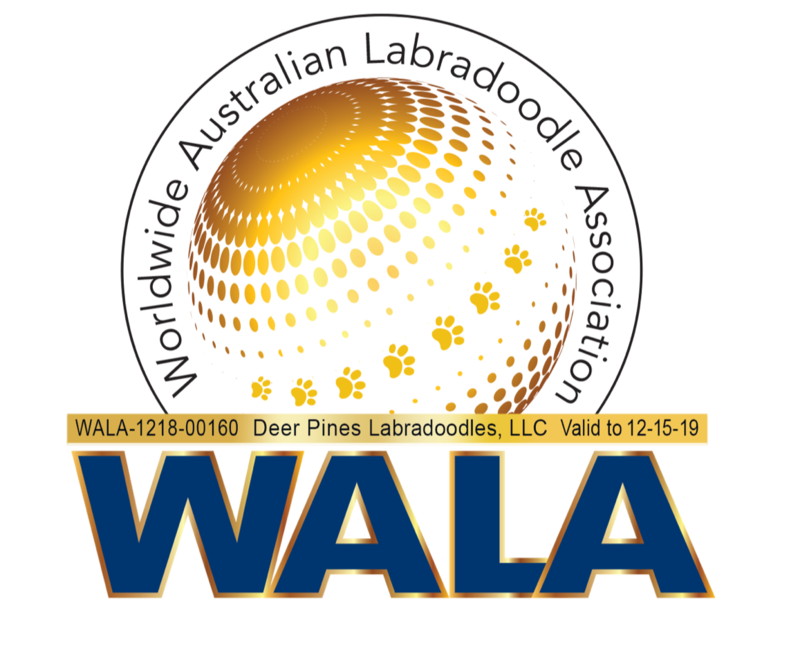 Please click here to view Buckeye Scarlett’s WALA pedigree, and please click here to view Scarlett’s ALAA pedigree. 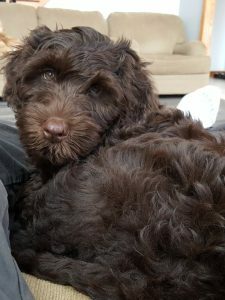 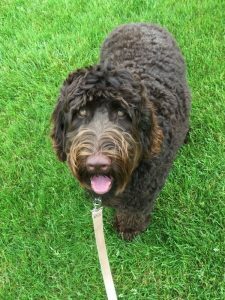 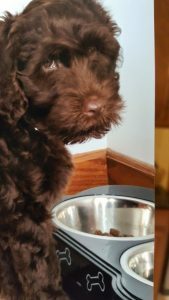 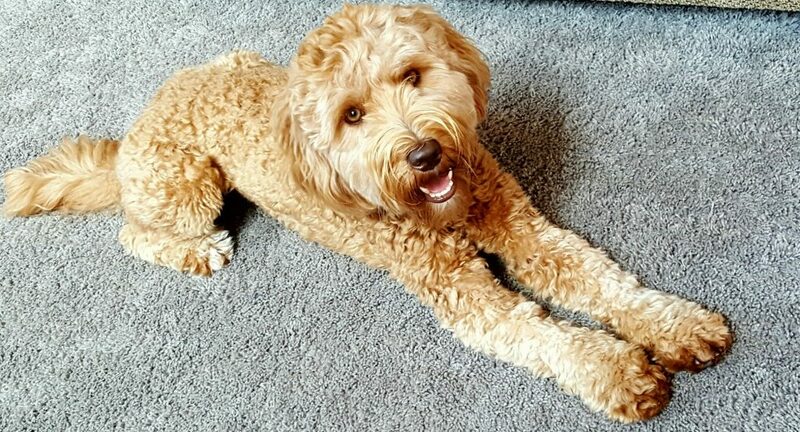 CV Buckeye Scarlett came to us from Colonial Village Labradoodles. 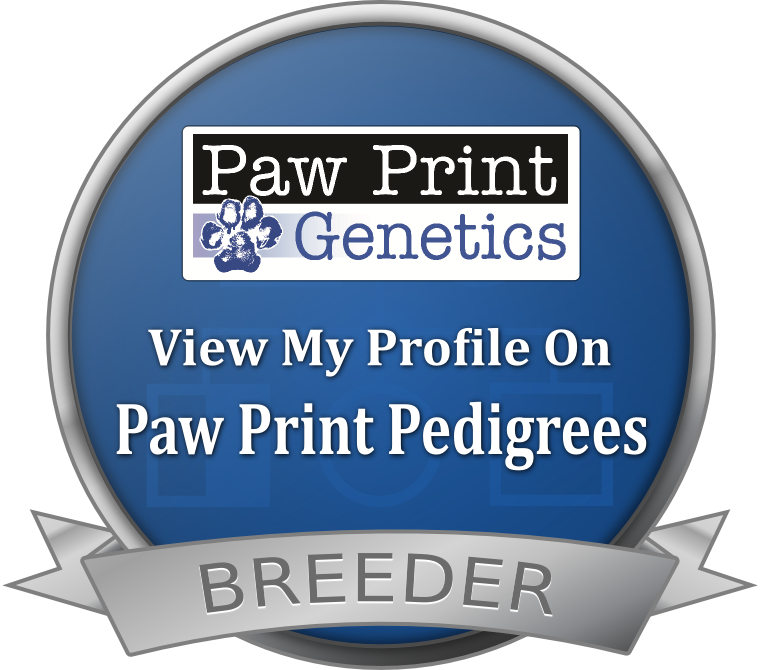 Scarlett’s pedigree is excellent – with lines originating in Australia, and she has passed all of her health testing (see above). 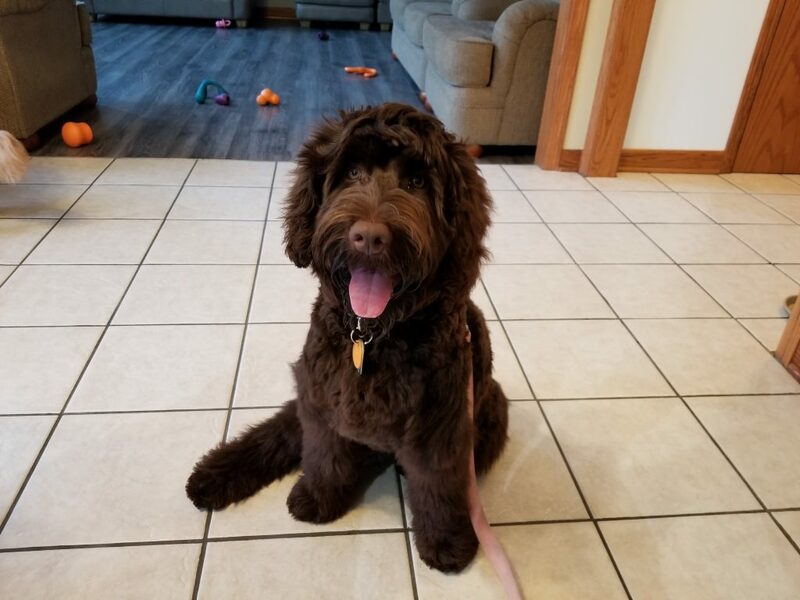 With a gorgeous silky chocolate fleece coat, and the ability to produce multiple colors, we are certain her puppies will be absolutely phenomenal.